I’m Matt Walker, a photographer and writer, keen traveller and football fan. 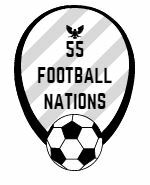 And the man behind 55 Football Nations. I’ve watched hundreds of football matches at Craven Cottage and around the world, experienced the Africa Cup of Nations, European Championships and two World Cups. My reports from Brazil were featured on the Fulham FC website (www.fulhamfc.com/news/2014/july/03/world-cup-diary) and in several programmes. I still play to a particularly mediocre standard wherever I may roam. I’ve cut my soles to ribbons playing barefoot on a Burmese beach, struggled desperately at Mexican altitude and had dozens of football-mad Ethiopian school children shout ‘Crutch’ at me. ‘Crutch, Crutch, Peter Crutch!’ I am quite white and very tall.